Pre-book your ticket online for Siam Ocean World or Madame Tussauds in Bangkok and enjoy a 10% discount. If you plan to visit both attractions, combination tickets offer a 20% discount. Discounted admission prices are THB810 (USD26) adults / THB630 (USD20) children for Siam Ocean World and THB720 (USD23) adults / THB540 (USD17) children for Madame Tussauds Wax Museum. Combination tickets cost THB1,360 (USD44) for adults and THB1,040 (USD34) for children. Both of these world-class attractions are conveniently located in downtown Bangkok. This is an on-going promotion and available until further notice. 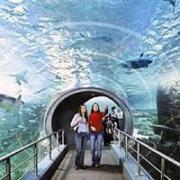 Siam Ocean World is one of the largest aquariums in Southeast Asia. 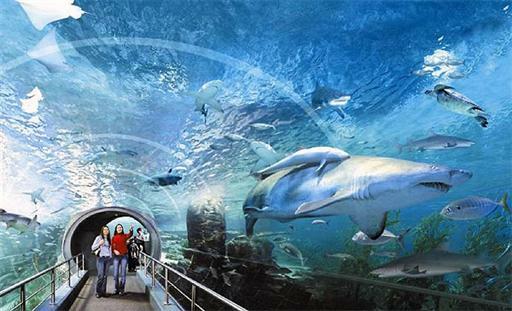 It features more than 30,000 aquatic creatures including sharks, manta rays, jellyfish, and even penguins. It is open daily from 10:00am until 9:00pm. Madame Tussauds is the legendary wax museum. The Bangkok location features more than 70 life-sized wax figures that include Michael Jackson, US President Barack Obama, the Dalai Lama, Lady Gaga, Einstein, and Thai royalty. It is open daily from 10:00am until 9:00pm. Visit the Siam Ocean World or Madame Tussauds Bangkok website for more information. Tickets can be purchased online.